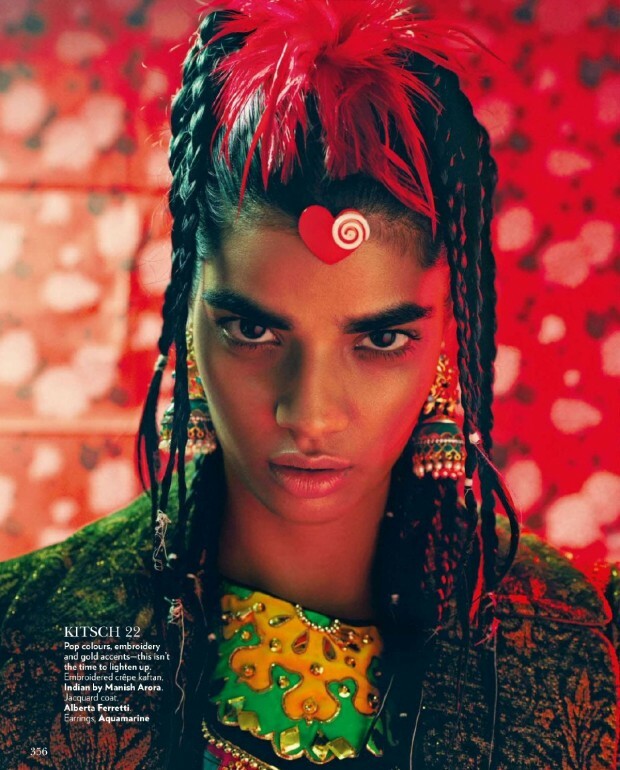 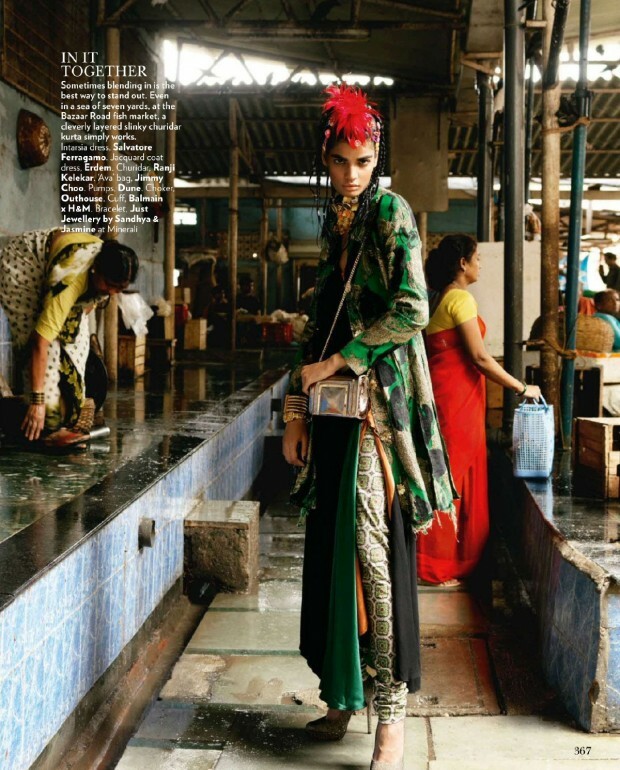 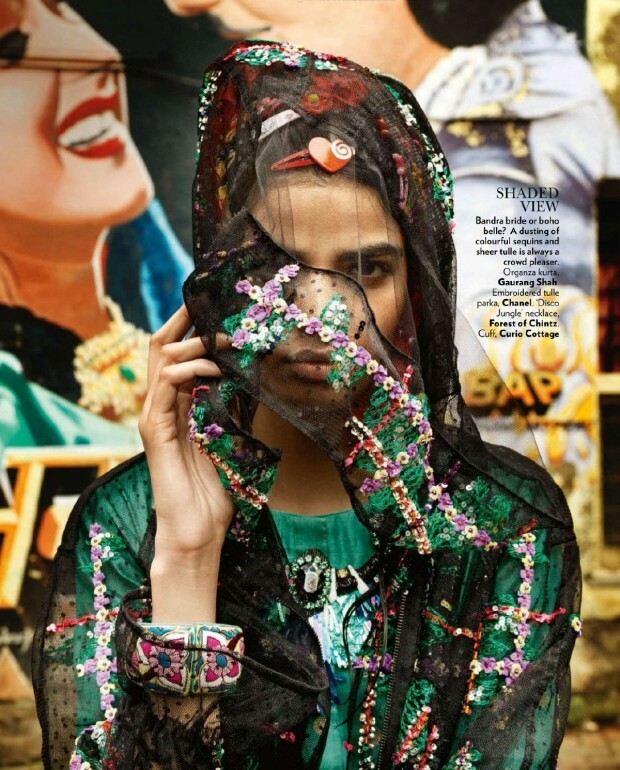 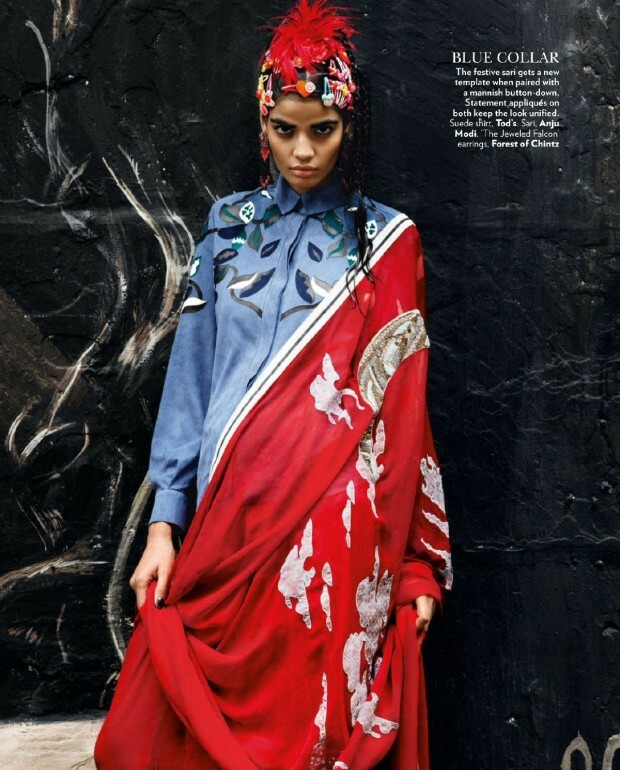 I absolutely love Indian magazine publications as they mix Western and Indian fashion to create a gorgeous fusion mix. 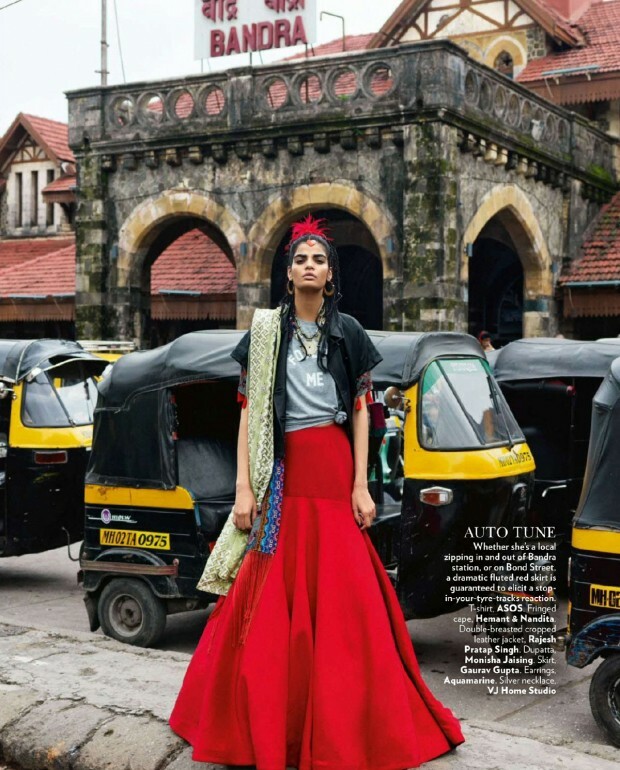 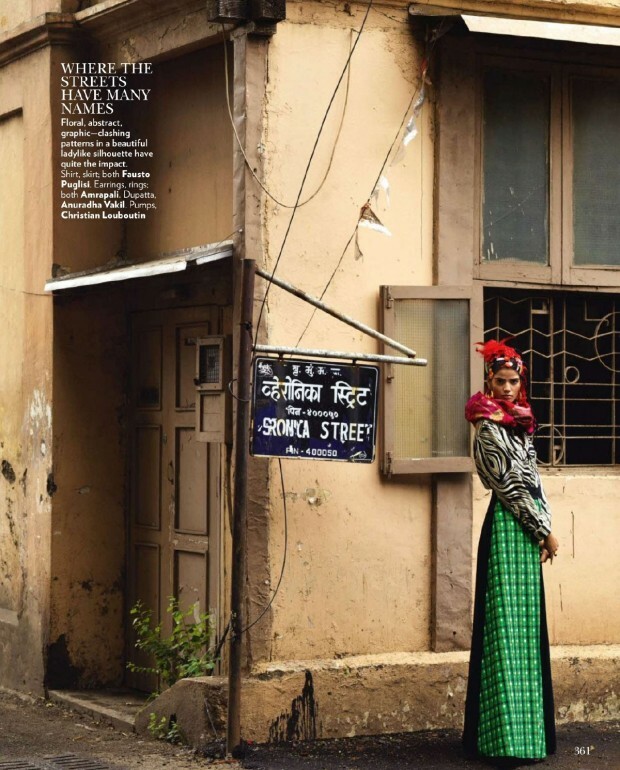 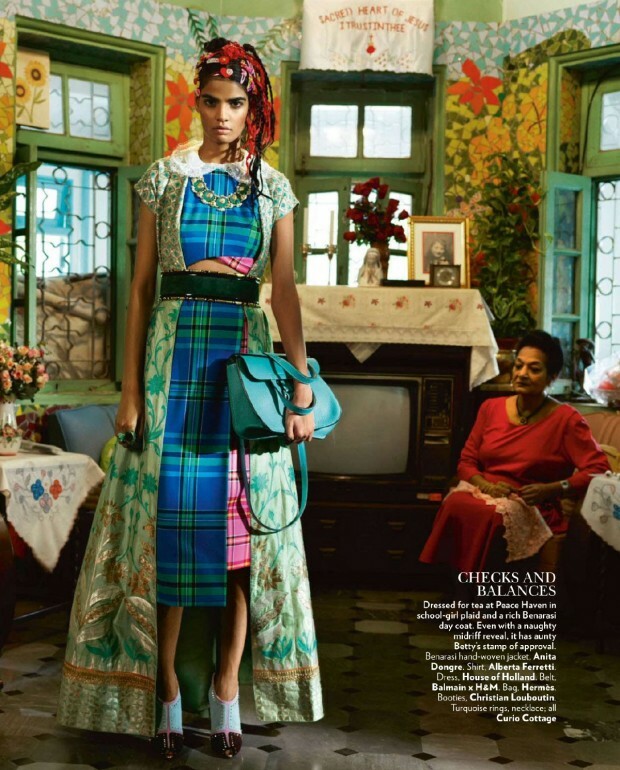 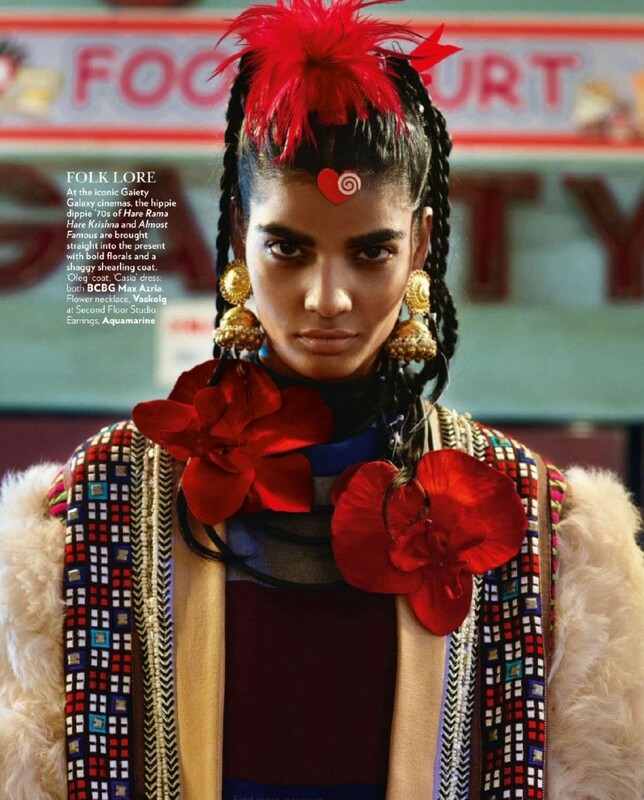 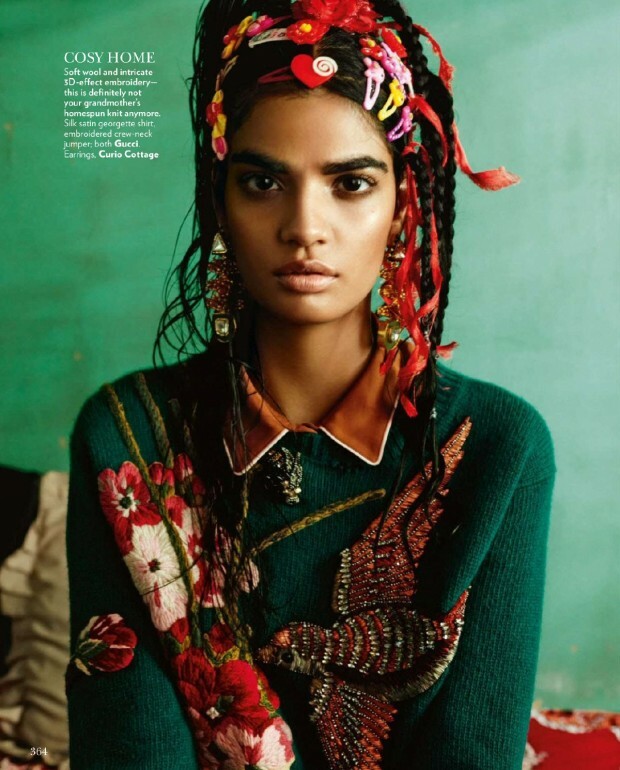 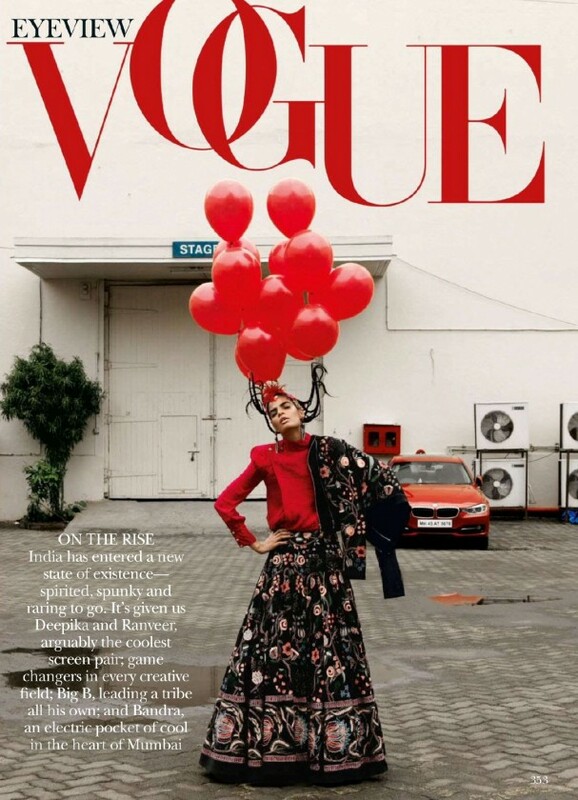 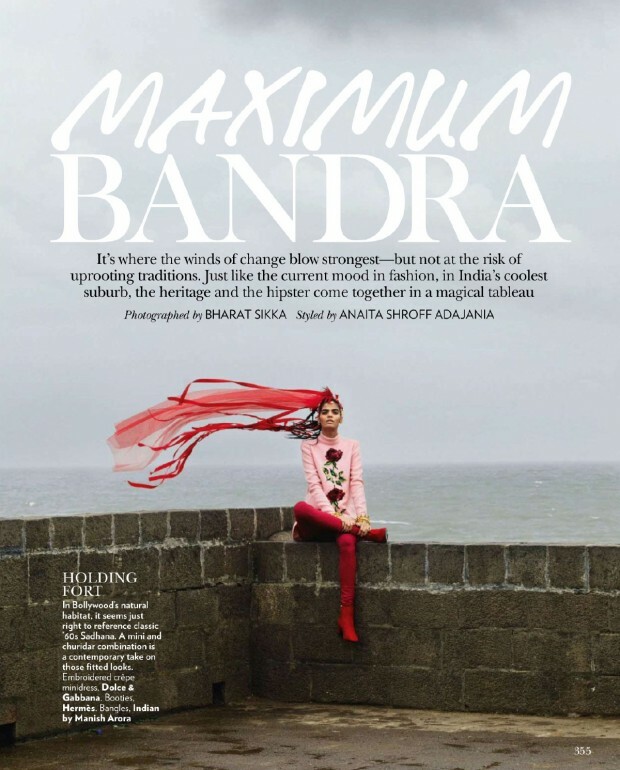 This editorial is from the October 2015 issue of Vogue India and features clothing by Valentino, Dolce & Gabbana, Manish Arora, Gaurang Shah, Chanel and more! 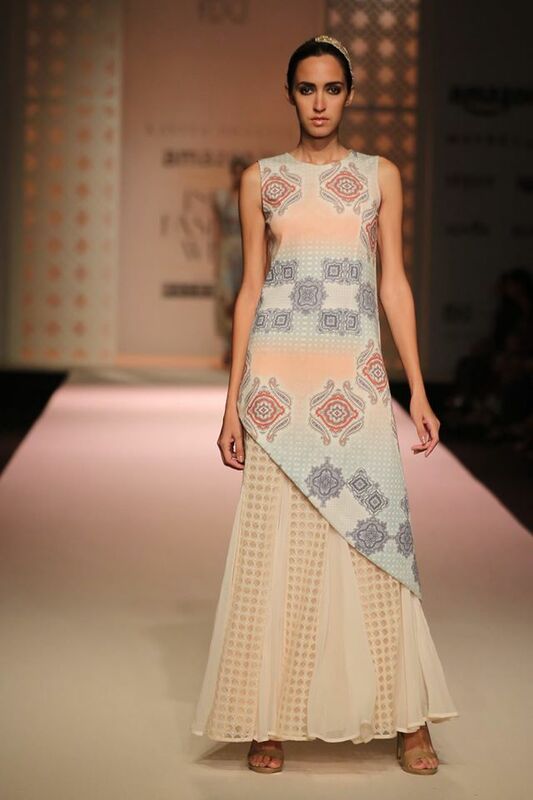 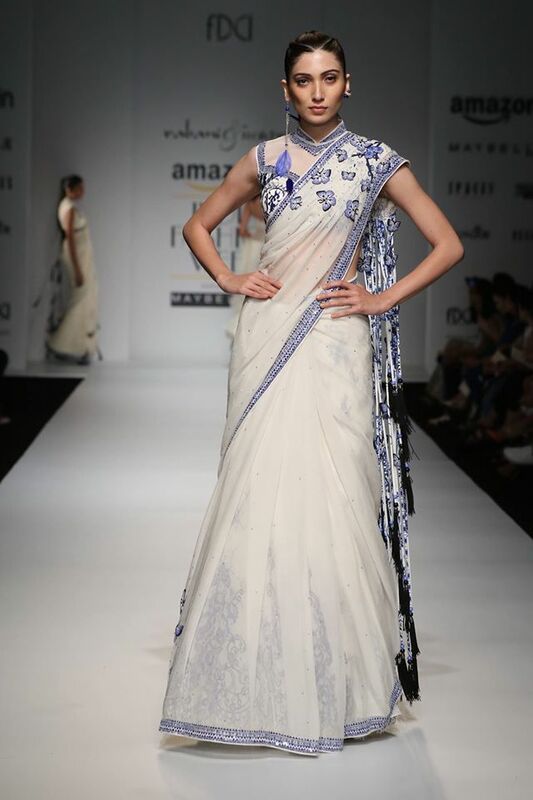 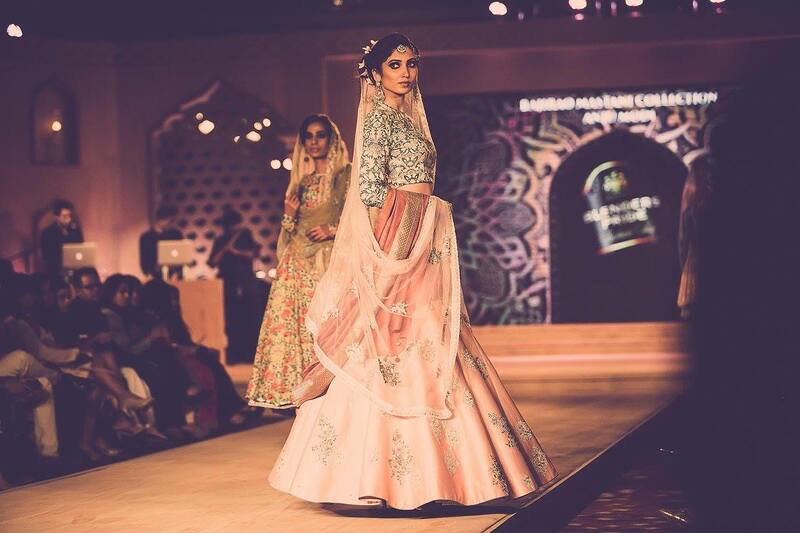 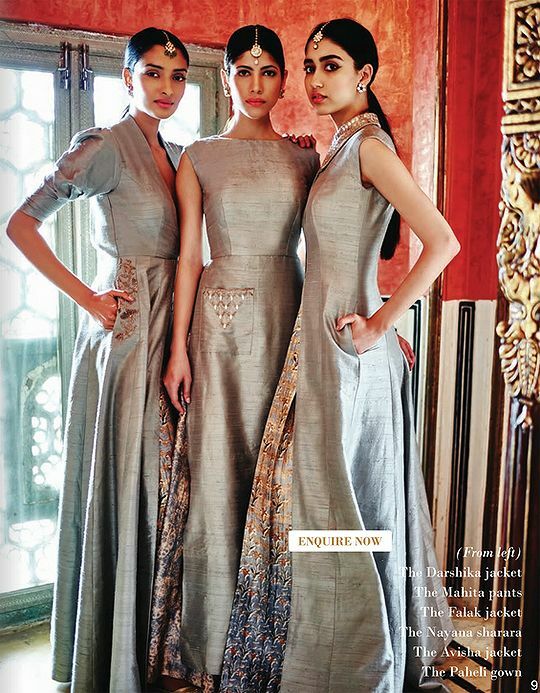 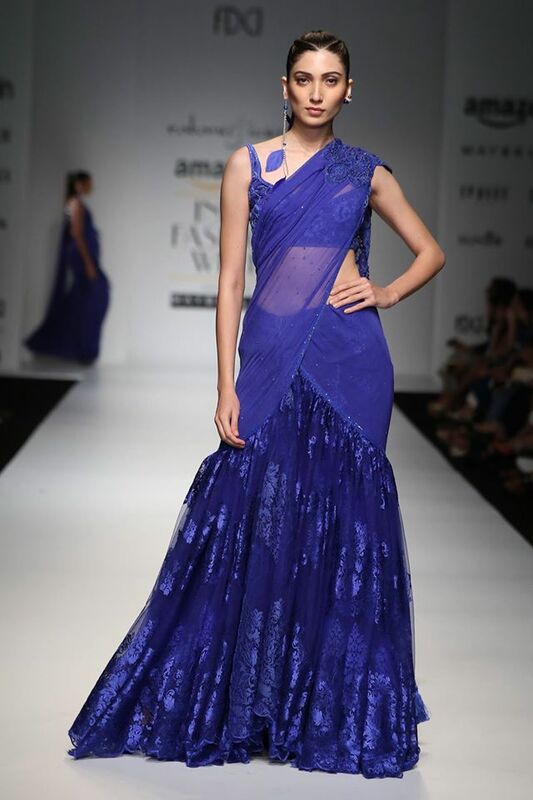 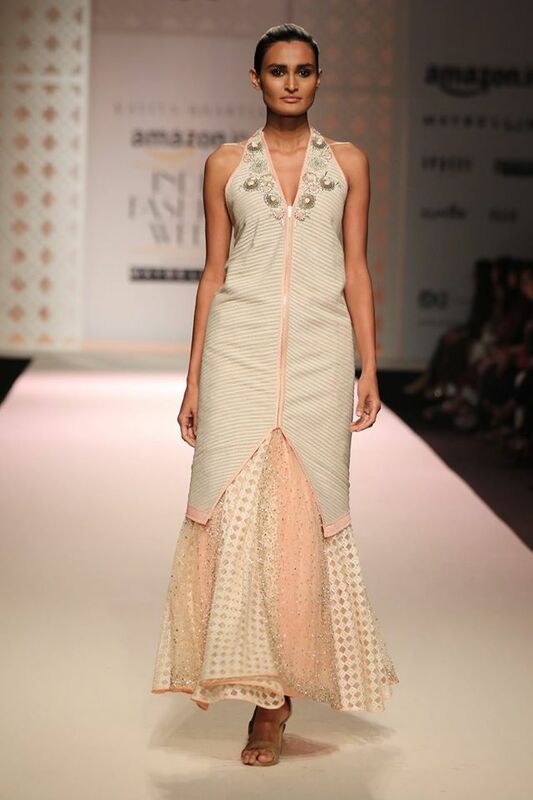 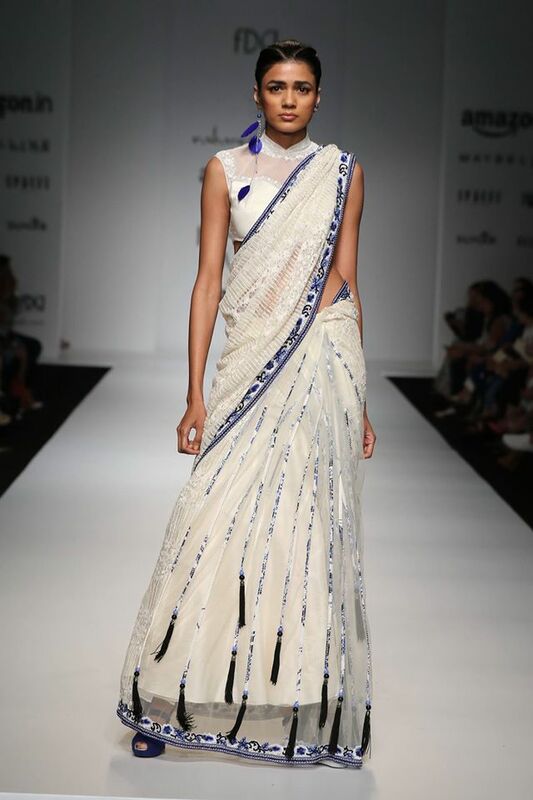 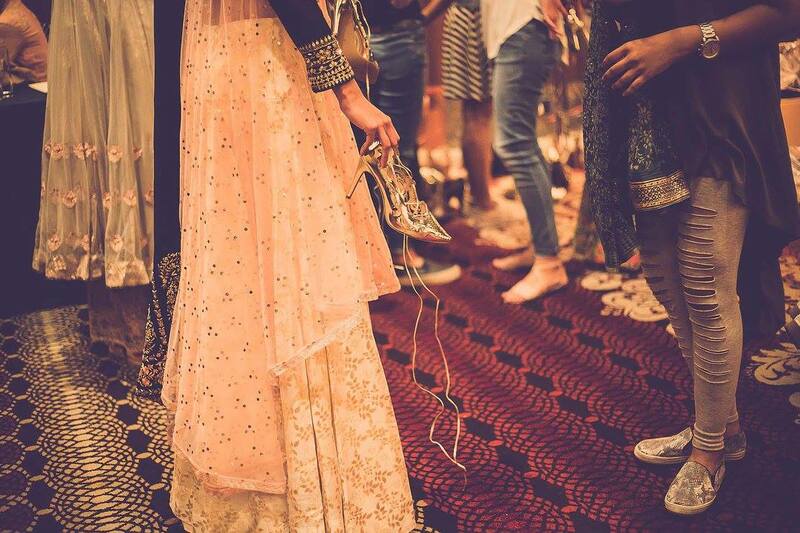 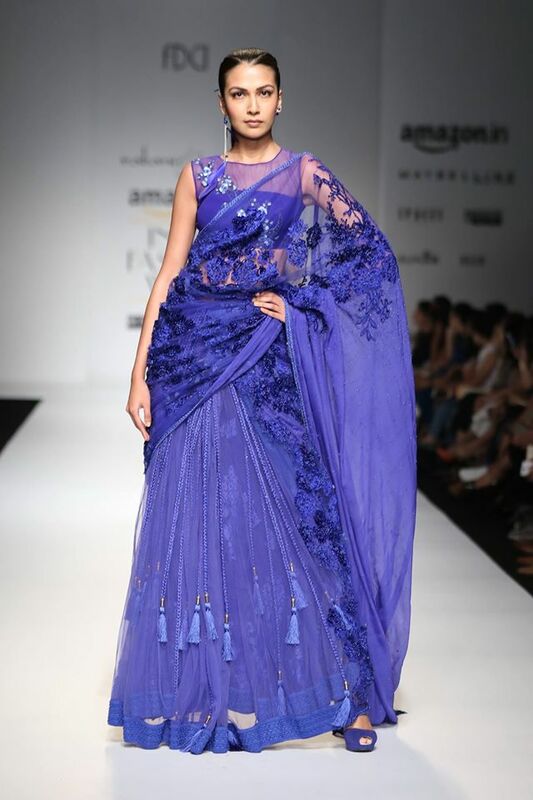 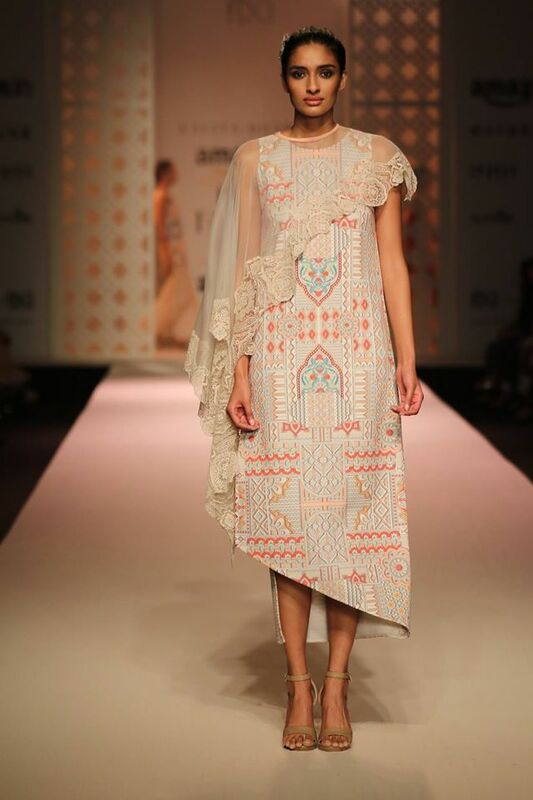 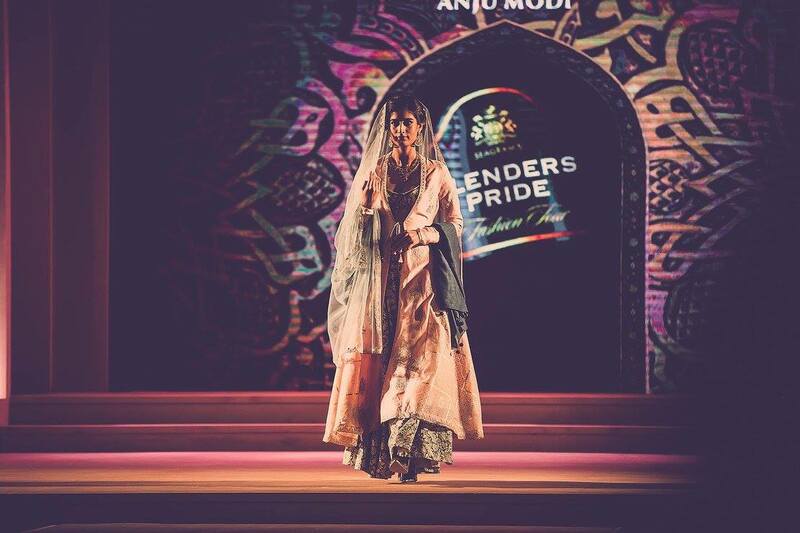 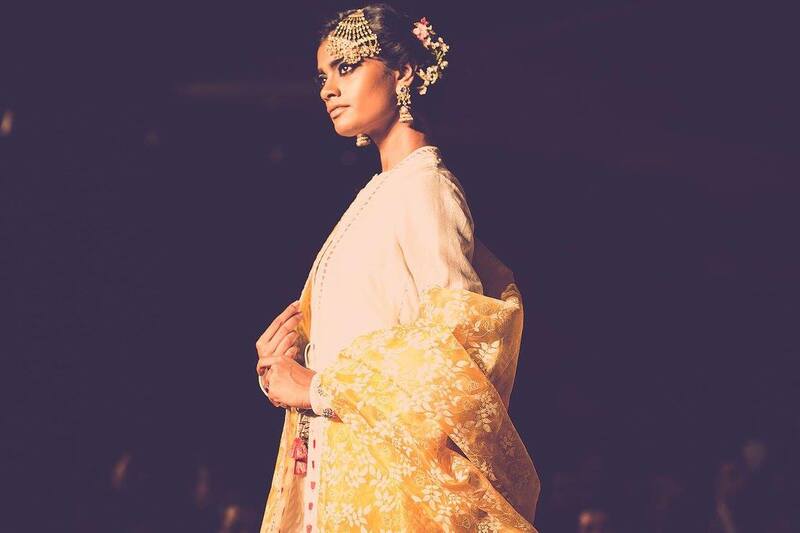 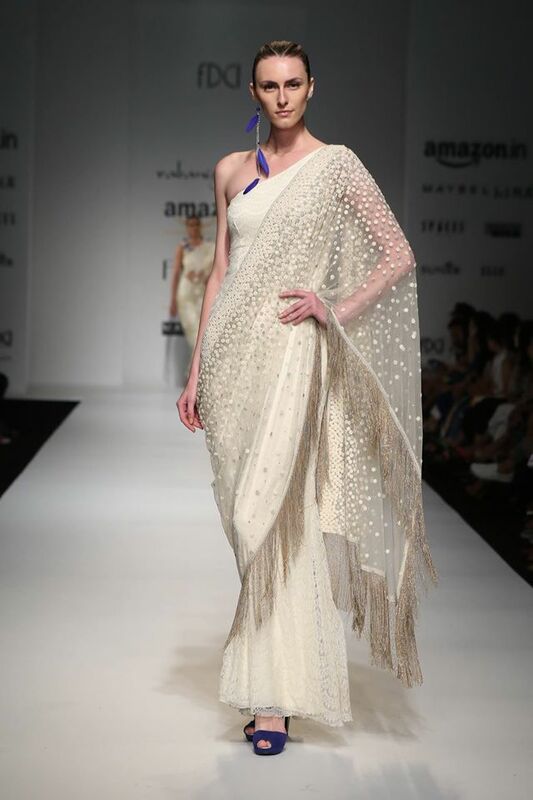 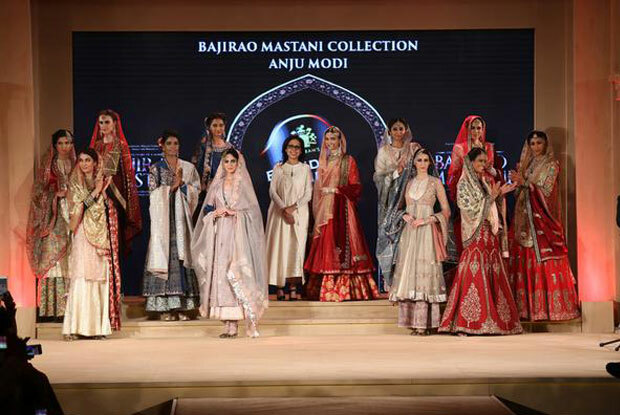 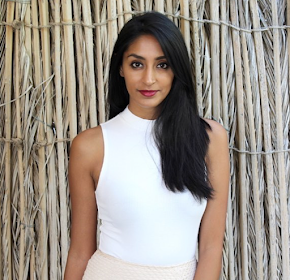 Anju Modi's collections are always impressive. 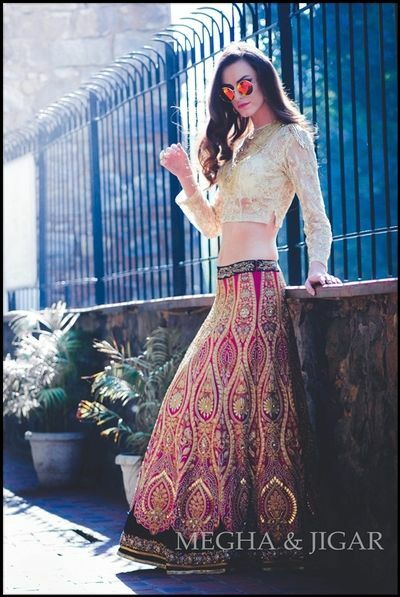 With stunning fabrics and intricate embroidery, the lehengas embody tradition with a touch of the modern world at the same time. 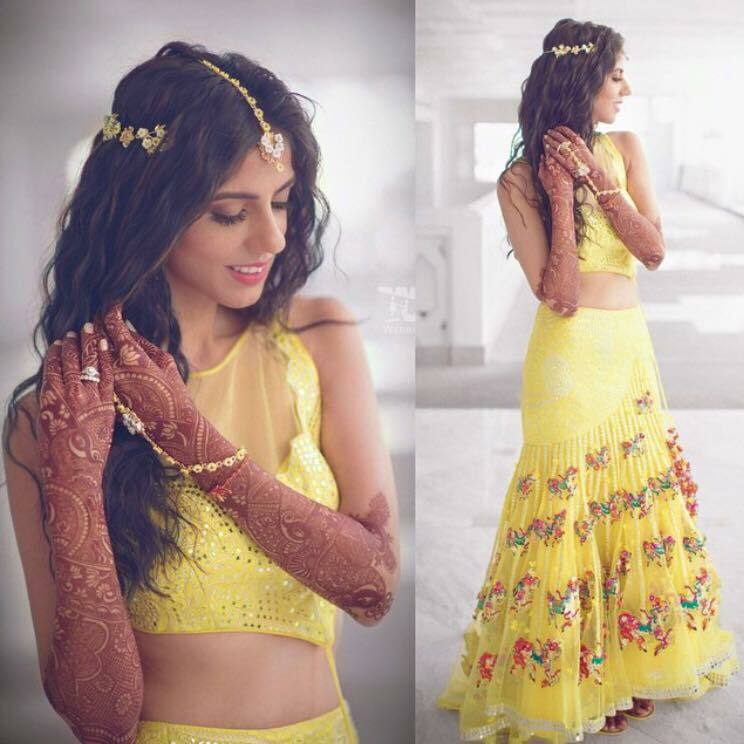 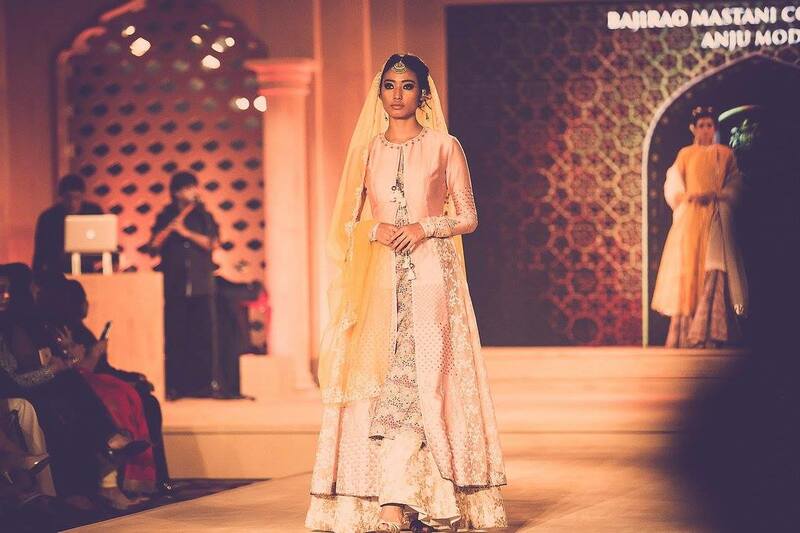 I love her outfits as bridal pieces, especially when paired with traditional jewellery. 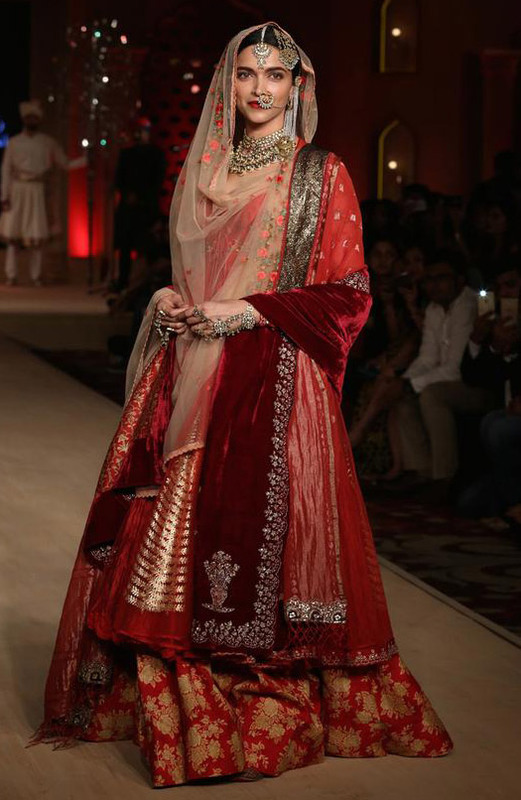 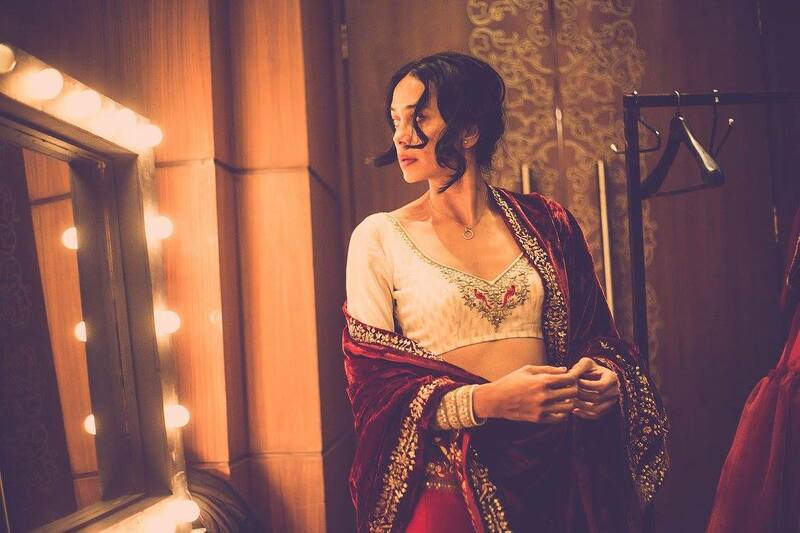 Deepika Padukone walked the ramp as 'Mastani' in a stunning red bridal lehenga. 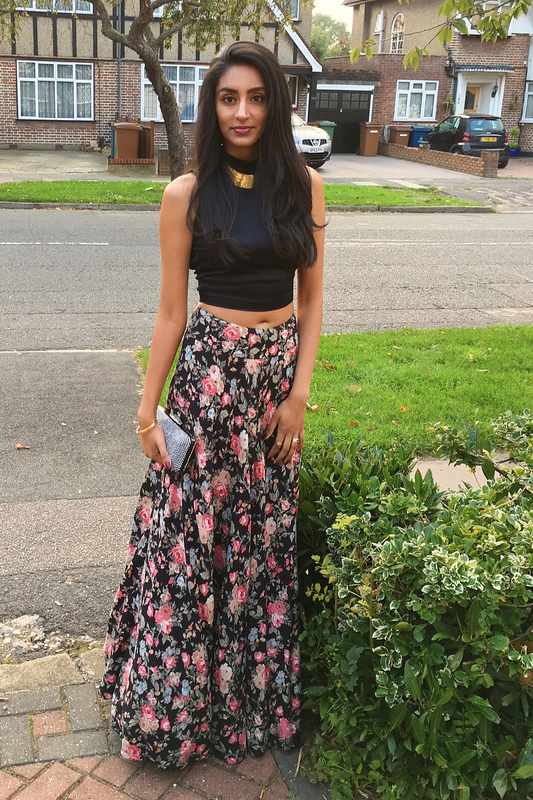 I still can't get over how gorgeous she is!